Cut squash in half long-ways and scoop out seeds. Place cut side down in a baking pan and add a 1/2" of water to the bottom. Bake for about 1 hour or until the skin is soft and pushes-in easily. Center should scoop out easily. Chop all the vegetables according to directions. Heat olive oil in a large skillet over medium heat. Add onion and cook for 2-3 minutes. Add ground meat and cook for 2-3 minutes, breaking meat apart with spatula. Stir in minced garlic. 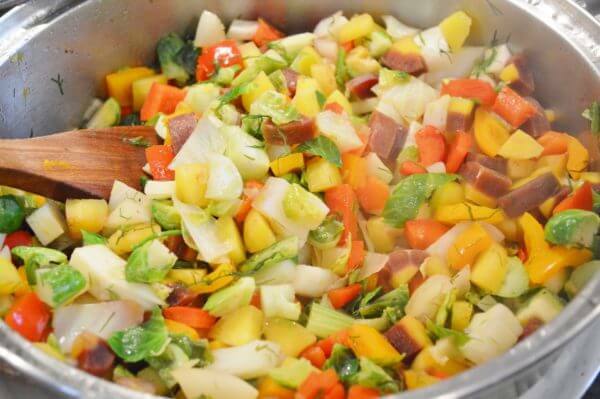 Add the chopped vegetables (carrots, peppers, Brussels sprouts/broccoli) and tomatoes; stir in herbs, salt, and pepper. Cover and cook for 10-15 minutes until vegetables are tender. Remove squash from oven Using a spoon, scoop out most of the cooked squash from the shell, leaving a thin lining of squash covering the inside. 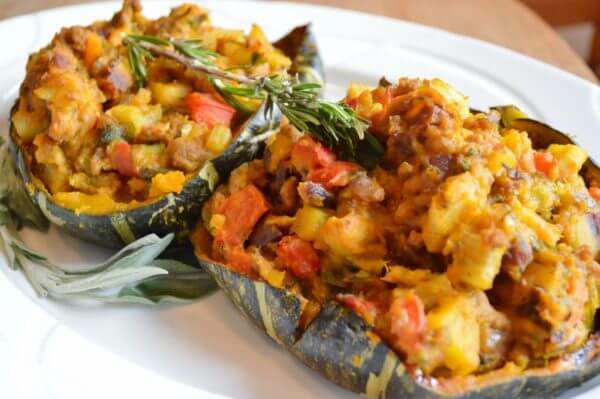 Stir the cooked squash in the skillet with vegetables. Stir until the squash, vegetables, and meat are evenly combined. 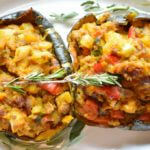 Fill the empty squash shells with the meat and vegetable mixture. Return the squash to the oven and broil on center rack for 3-4 minutes to brown top (optional). There will be extra filling left over (not all will fit back into the squashes). 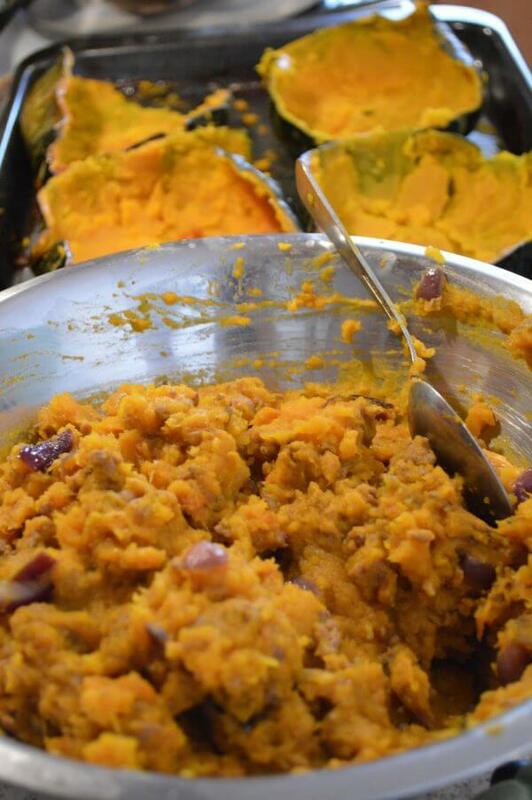 Fill the squashes for dinner servings and reserve leftovers for another meal.